About three years ago, Pritam's Sufi composition 'Bulleya' from Ranbir Kapoor, Anushka Sharma and Aishwarya Rai Bachchan-starrer Ae Dil Hai Mushkil almost became an anthem for passionate romance. The 2019 version of 'Bulleya' has nothing in common with the Amit Mishra song except for its name (obviously) and the fact that it is a recipe for another anthem, albeit of a different kind. The first song from the music album of Romeo Akbar Walter, 'Bulleya', has been sung by Rabbi Shergill and Shahid Mallya, and is the catchiest number of the lot. Continuing Bollywood's recent trend of including at least one fast-paced, Punjabi track ('Morni Banke', 'Dhyaanchand'), this song is the anthem of a wavering heart. Mallya and Shergill's uninhibited rendition, coupled with the upbeat percussion, is perfectly juxtaposed against the uncertainty of a developing romance. The next song is a departure of a light-year from 'Bulleya', titled 'Vande Mataram'. Sonu Nigam's soul-stirring voice is used to the optimum in this number, which is replete with keywords of a patriotic song staple. In this no-holds-barred song for the motherland, words such as vatan (land), naaz (pride), sarhad (border) and shaheed (martyr) make frequent recurrences. The military beats and Nigam's lilting rendition of Shabbir Ahmed's composition harmonise to create a sing-song lullaby, pregnant with silent aggression of a soldier in service of their nation. The song is vaguely reminiscent of 'Ae Watan' from another espionage thriller, Raazi. 'Je Len De' is the perfect balm for the rooh. Brimming with nostalgia, Mohit Chauhan's husky, almost-therapeutic voice softly meanders across the canvass of a number that is prayer for the safekeeping of one's loved one and one's country. With pensive lyrics like "Tere ishq ki chaar deewari wich mainu jee lene de" (Let me live ensconced behind the four walls of your love), the gentle and introspective number breathes life into the rocky terrain that John Abraham's protagonist has to chart to ensure his country's safekeeping. 'Ma', as the name suggests, is a teary-eyed child's ode to the all-supreme creator. 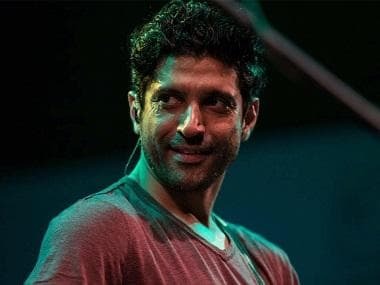 Ankit Tiwari once again proves that he is a masterful composer, weaving a devastatingly beautiful song after 'Galliyan' from Ek Villain and 'Sun Raha Hai Na Tu' from Aashiqui 2. Prince Dubey's prosaic simple lyrics, like "Mujhe bhi fikar teri hai ma, par main kehta nahi" are conveyed with as much tenderness by Tiwari, all the while being aided by soft sitar tunes in the background. As gritty as Abraham's spy thriller Romeo Akbar Walter may look from the glimpses offered in the trailer, the songs serve to ameliorate the spirits of broken, decaying souls that often seem to be drowned by choral, nationalistic outcries. The entire album can be heard here.